This album was recorded in order to propose stereo songs for the owners of new "hi fi stéréo" pickup. The original issue was Philips B 76.479 R for monophonic listener and Philips 840.900 PZ for stereophonic listener. 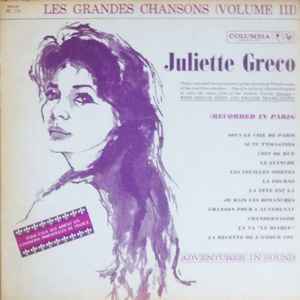 The two tracks "La recette de l'amour fou" and "Les feuilles mortes" were not included on the original french issue.